This year’s theme is “Holiday Glow”. Use your imagination, be creative and have fun! 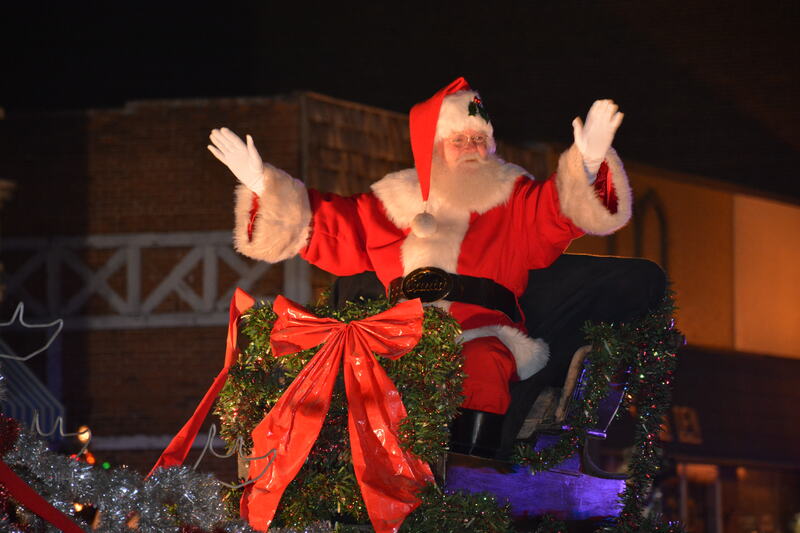 Area businesses, organizations, and individuals are invited to participate in the 2015 Christmas Parade. The Parade Marshalls will be Gerald and Orinne Schumann. Mrs. Claus will be at the Kress Center at 6:00 handing out candy canes and picking up letters to deliver to Santa. The evening will begin with a dedication and lighting ceremony at 6:30 p.m. in front of the Cable ONE office at 714 Commercial. Festivities include a Christmas message, musical performances, and a lighting ceremony performed by City of Emporia Mayor Jon Geitz. The Parade will begin at 7:00 p.m. at 4th Avenue, and proceed up Commercial Street to 12th Avenue.